The Ca’nova Palazzo has belonged to the same family for two centuries. 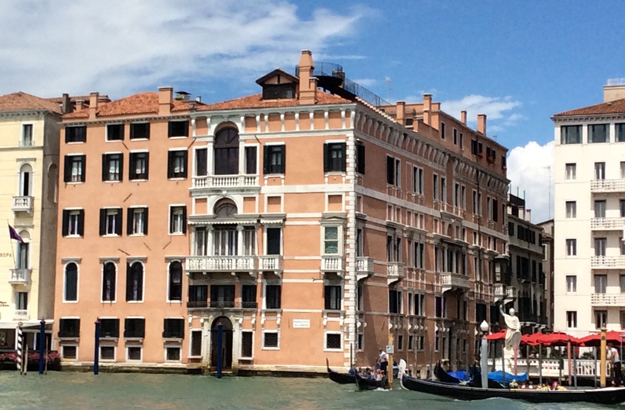 The sumptuous building is located at the mouth of Venice’s Grand Canal. The Punta della Dogana viewed from one of the three apartments. 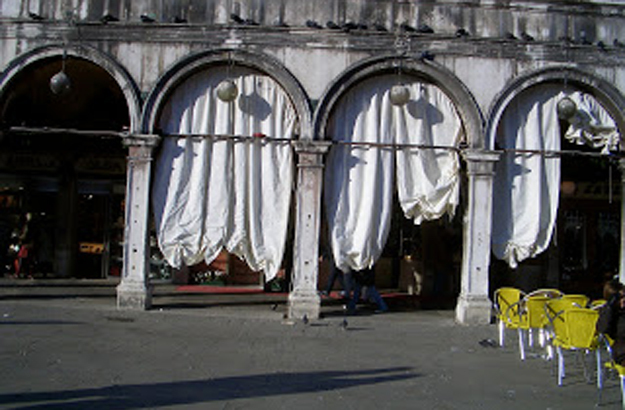 These white draperies on the Piazza San Marco have inspired us. 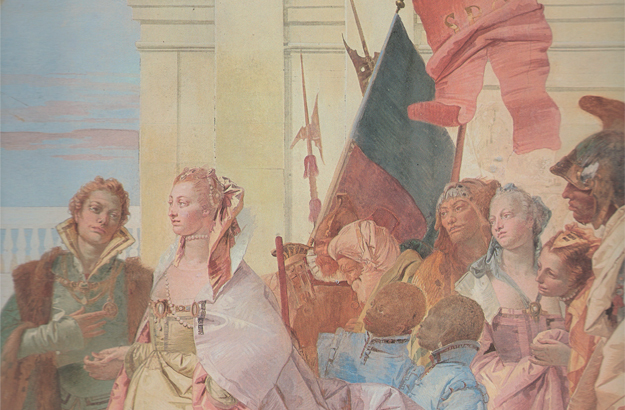 Tiepolo’s palette has also guided us in our selection of colours. Located opposite the Punta della Dogana, where the priceless Pinault contemporary art collection has been congregated, the Ca’nova palace has belonged to the same family for the last 200 years. Restoration of three of its main apartments had been envisaged for some time, and has now been completed. We were extremely happy and flattered, at Trust&Travel, when the Ca’nova owners offered us to handle the decorating of the three apartments, and be in charge of its promotion. I asked my friend Anna Guarini – who had skillfully overseen the refurbishing of the Villa Emo Capodilista – to join our team and contribute to our remodelling endeavour. I’ll tell you more about this soon, but just to give you a foretaste of the style we are working in… The overall look is, let’s say, classic with a contemporary twist, and the colour palette draws its inspiration from the Venetian frescoes of the 17th and 18th centuries, particularly the ones painted by Giambattista Tiepolo. These three apartments are very well located. 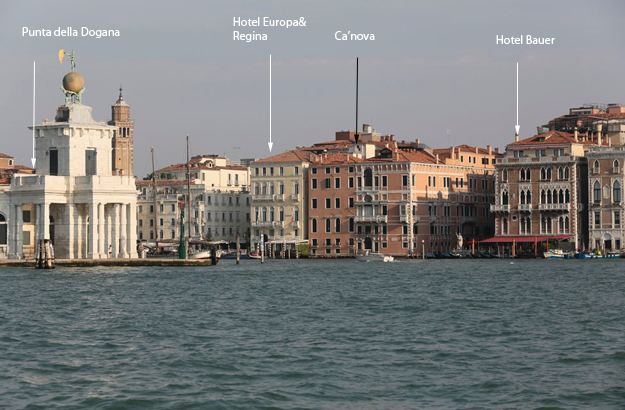 They are right at the mouth of the Grand Canal, where the view opens onto the legendary Lagoon. 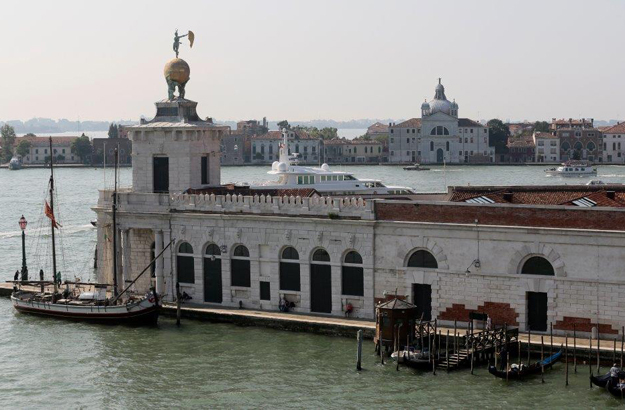 They also look onto the Santa Maria della Salute basilica and the San Giorgio Maggiore church, as well as onto the Punta della Dogana, as we mentioned earlier. And, on foot, you’re just five minutes away from the Piazza San Marco and another local heritage site, Harry’s Bar, declared a national landmark in 2001 by the Italian Ministry for Cultural Affairs. Stay tuned for the following episodes!